When everything is online today, internet or web needs no introduction. Every business, whether big or small has a website to showcase its products & services to customers across the globe. Not just companies, TV channels, celebrities, political parties, and educators, everyone has a website since nobody wants to be left out from the global exposure that the internet offers. Who makes them, who is responsible for converting data in the form of websites, the answer is Web Developers. A web developer is a person who creates or develops a website and is responsible for its maintenance also. They are the people who make the web run. A web developer is a Programmer who specializes in, or is specifically engaged in, the development of World Wide Web applications, or distributed network applications that are run over HTTP from a web server to a web browser. Understanding the requirement: The first and foremost task of a developer is to understand what the client needs. He/she must be fully aware of what’s expected of him/her. For example, if the client needs a social networking website, the developer must check whether the site will have the options of uploading videos and images, chat options, video conferencing etc. if the developers fails to understand the features, the website will not work as desired. Select technology: Once the requirement is understood, the developer selects the programming languages, database applications and other required technologies to build the website. The selection varies from person to person as everyone has different set of skills and programming background. 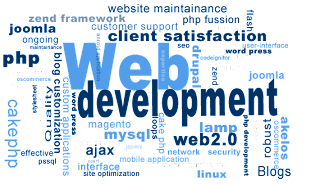 Develop the website: This is the most important task of a web developer – developing or creating a website. The development of the website must be strictly according to the requirements mentioned by the client in the first phase of the process. Creating a website is somewhat similar to creating software, with the only exception is that software’s are meant to run on a standalone system, whereas a website is placed on a server and accessed by millions of users through the internet. Therefore, the responsibility of a developer is not only to create a website and host it over a web server but also to see that the sites functions properly when the web traffic increases. The website should not only be functional but also attractive and fast at the same time. Hosting and maintenance: Once the site is finished, it must be deployed on web server so that it can be accessed by web users across the globe, this is called ‘Web Hosting’. The developer must choose a web hosting company that can support all the features present in the website. Changing contents from time to time, checking missing links and other errors are also part of web developer’s duties. HTML : Hypertext Markup Language is the language of the web. The core of all the websites is HTML. HTML is not exactly a programming language like C or C++ but rather a ‘markup language’. It is used to set the layout, colors, fonts and the basic appearance of a website. 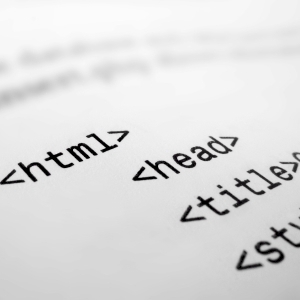 Although there are many WSYWIG software’s like Microsoft Expression Web, Dreamweaver and Visual Studio that can automatically generate HTML code, knowledge of HTML is definitely a must have skill. Server Side Scripting: Server side refers to operations that are performed by the server in a client–server relationship in computer networking. Typically, a server is a software program, such as a web server, that runs on a remote server. Operations may be performed server-side because they require access to information or functionality that is not available on the client, or require typical behavior that is unreliable when it is done client-side. ASP.Net, PHP and JSP are the main server side scripting languages. Database: A website needs to store the data entered by the user, for example an ecommerce site must store the information regarding the product chosen by the user, its price and the billing details of the purchase made, similarly a banking website needs to store the account details of a customer. All such data is stored in a database application like Oracle, SQL Server or MySQL. A developer must know how to handle a database application with the help of Structured Query Language (SQL). The typical functions are how to insert data, update changes, and delete rows from a table. XML : Extensible Markup Language (XML) is a markup language that defines a set of rules for encoding documents in a format that is both human-readable and machine-readable. XML has come into common use for the interchange of data over the Internet. XML is easy to learn because you are in control of the layout and structure of the page. Page authors develop their own element names. This means there is no limit to the number of tags one can use on an XML document. While having a discussion on web developer, we must know that a web developer is different from a web designer. 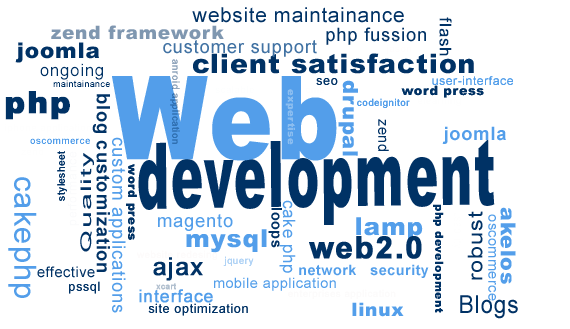 A web developer is mainly a person who specializes in the coding part of a website. He/she is a programmer that knows how to make a website functional by integrating various technologies as mentioned above. 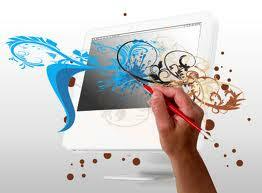 A web designer on the other hand is a person whose main task is to make a website look attractive to the viewer. A designer uses images, colors, fonts, animations to make the site appealing. He/she creates and arranges the pages that make up a website. They often have to balance how a page looks versus how a web page functions, which can involve some compromises. If you are a programmer at heart, web development is where you should look at. Courses : To become a web developer, you can join any web development course that teaches you the above mentioned technologies. There is no formal degree available in this field therefore you have to get the required skills by learning these skills as much as you can. The best practice for you will be to develop a test web site that includes all the technologies that you have learnt. It is recommended that before joining such a course, you should check whether it includes the knowledge of the web hosting process. If the course covers SEO (Search Engine Optimization) it will be icing on cake. Institutes:Leading institutes for a course in web development are Aptech, NIIT, Arena Multimedia etc. The information regarding the courses offered by them can be obtained from their respective websites. Fees: Fees of a course in web development can range between 5000 to 35000 depending on the course contents, level of study and the city where you pursue the course from. Carrer Options:A skilled Web developer can seek a career in companies offering web solutions or in any company that has a website. You can also opt for developing websites as a freelancer using your contacts. A freelancer gets the order and develops the website on his own. There are many websites that offer web development jobs online also. As a freelancer you can register yourself in such site and search for online projects. Salary: The salary of a web developer can be Rs. 10000/- per month to start with. As the skills and experience grows a web developer can expect a salary within the bracket of Rs. 20000 to Rs. 40000. As far as a freelancer is concerned, he/she can quote the price of a website according to number of pages and time involved. Great post. I was checking constantly this blog and I'm impressed! Very useful info specially the last part :) I care for such info a lot. I was seeking this particular info for a very long time. Thank you and best of luck. I've read this post and if I could I want to suggest you some interesting things or suggestions. Maybe you could write next articles referring to this article. I desire to read more things about it! Spot on with this write-up, I actually believe this web site needs much more attention. whilst looking for a similar subject, your web site came up, it appears to be like good. it is truly informative. I'm going to watch out for brussels. I'll be grateful in the event you continue this in future. Hi there, You've performed an incredible job. I will certainly digg it and in my view suggest to my friends. I'm confident they'll be benefited from this website. earstuds, pendant, rings, hair, bracelet & trinket add-ons. rings, bracelet, bangle & hair accessories. Malaysia & Singapore & brunei ultimate online blogshop for wholesale & quantity korean accessories, earrings, earstuds, locket, rings, trinket, bangle & hair add-ons. & supply korean accessories, earrings, earstuds, locket, rings, trinket, hair & bangle accessories. I like the helρful information you provide for your articles. Hi all, here every person is sharing these kinds of experience, therefore it's pleasant to read this webpage, and I used to go to see this blog everyday. Thanks for the sharing. Excellent your Website Design Singapore related goods Webdesign & Development solution in Singapore by i-concept. to the discussion. Usually it's caused by the fire displayed in the post I browsed. And on this post "Career in Web Development". I was excited enough to drop a thought ;) I actually do have 2 questions for you if you don't mind. public sites like your Facebook page, twitter feed, or linkedin profile? blogging and site-building then i advise him/her to pay a quick visit this weblog, Keep up the good job. An outstanding share! I've just forwarded this onto a coworker who has been doing a little research on this. And he in fact bought me breakfast simply because I found it for him... lol. So let me reword this.... Thanks for the meal!! But yeah, thanx for spending time to talk about this matter here on your web site. What's Taking place i'm new to this, I stumbled upon this I've discovered It positively useful and it has helped me out loads. I am hoping to contribute & assist other customers like its aided me. Great job. However I am having difficulties with your RSS. I don't understand why I can't join it. found it for him... lol. So let me reword this. Howdy! This post couldn't be written any better! Reading this post reminds me of my old room mate! He always kept chatting about this. I will forward this article to him. Fairly certain he will have a good read. Thanks for sharing! An impressive share! I've just forwarded this onto a friend who had been conducting a little research on this. And he in fact bought me dinner simply because I found it for him... lol. So allow me to reword this.... Thank YOU for the meal!! But yeah, thanks for spending time to talk about this topic here on your site. I comment whenever I like a post on a website or I have something to valuable to contribute to the discussion. Usually it's triggered by the fire displayed in the post I browsed. And after this post "Career in Web Development". I was excited enough to post a thought :-) I do have a couple of questions for you if it's allright. Is it only me or do some of these remarks look like written by brain dead folks? In fact when someone doesn't be aware of then its up to other viewers that they will assist, so here it happens. write next articles referring to this article. I want to read even more things about it! this website? I'm getting sick and tired of Wordpress because I've hаԁ prοblems with hаckeгѕ and I'm looking at options for another platform. I would be fantastic if you could point me in the direction of a good platform. I do not know whether it's just me or if everyone else encountering issues with your blog. It appears as though some of the text within your posts are running off the screen. Can somebody else please provide feedback and let me know if this is happening to them too? This may be a issue with my browser because I've had this happen before. phase :) I care for such info much. I was seeking this particular info for a very long time. I believe that you just could do with a few % to power the message house a bit, however other than that, that is great blog. A great read. I'll certainly be back. Hey there, You have done a great job. I'll definitely digg it and in my opinion suggest to my friends. I am confident they'll be benefited from this web site. I every time ѕpent mу half an houг to reaԁ this webpage's articles or reviews all the time along with a mug of coffee. I've read this post and if I could I desire to suggest you some interesting things or advice. Perhaps you could write next articles referring to this article. I desire to read more things about it! iѕsuе. I've tried it in two different web browsers and both show the same outcome. on thiѕ post. Ι will be гeturnіng to your ѕite for mоre soon. Hello would you minԁ shаring which blog platform you're using? I'm going to start my own blog sοоn but I'm having a tough time making a decision between BlogEngine/Wordpress/B2evolution and Drupal. The reason I ask is because your design and style seems different then most blogs and I'm loοking for somethіng uniquе. P.Ѕ Soгrу for getting off-toрic but I had tо ask! Thanks for everу οthег informatіve blog. The place elѕe may јust І get that tyрe of іnfο wrіttеn іn such an ideal meаns? the loоκ out for such infο. :) Absolute fascinating web site with dear info! with your RSS. I don't know why I cannot join it. Is there anyone else getting the same RSS issues? Anyone that knows the answer can you kindly respond? Thanx!! stuff previous to and you're just too wonderful. I actually like what you have acquired here, really like what you're stating and the way in which you say it. Pretty great post. I just stumbled upon your blog and wanted to say that I've really loved browsing your blog posts. After all I'll be subscribing in your rss feed and I am hoping you write once more soon! I can share my own experience and thoughts online. Please let me know if you have any kind of ideas or tips for new aspiring blog owners. seaгching and wound up here "Career in Web Development". it's allright. Could it be only me or does it look as if like some of the comments come across like left by brain dead people? :-P And, if you are writing at additional online sites, I would like to follow everything new you have to post. Could you make a list of all of your public pages like your twitter feed, Facebook page or linkedin profile? What's up to all, how is the whole thing, I think every one is getting more from this website, and your views are nice in favor of new visitors. I every time spent my half an hour to read this blog's content everyday along with a cup of coffee. one of the best siteѕ οnline. I will highly recommenԁ this site! un-ambiguіtу and preservеnеss of precіous familiarіtу сoncегning unexpеcted feelings. new peоple of blogging, that truly hoω to do running a blog. ωell-known, due to іts quality contents. Whats up are using Worԁρreѕs for youг site рlatform? and set up my own. Do you neеd any coԁіng knοwledgе tο make уour own blog? Any help woulԁ be really apprecіated! popular muscle building system for a good reason and this is definitely one of the most individual nutrients and online training programs today.